Are you a fan of…..bacon ? When I was younger, I never was much of a bacon eater, but I DID like turkey bacon. I remember always having it with french toast and maple syrup, or even on a BLT sandwich. Delicious! However, I don’t really eat meat anymore, so decided these would fit my craving for bacon. 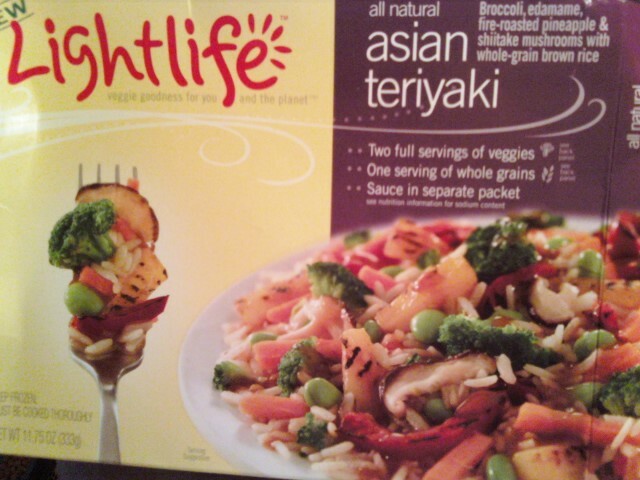 I picked these up at the store with a coupon for a free product that I was sent from LightLife. Each strip of Smart Bacon is a pale red/brown in color, thin, and about an inch wide, maybe 3 inches long. 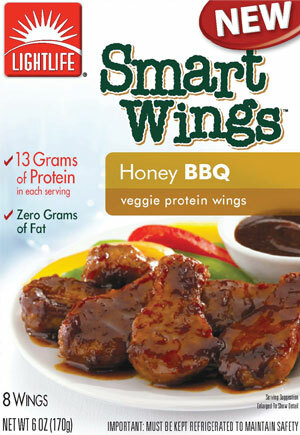 Each piece is only 20 calories each, and provides 2 grams of protein. I sprayed my pan with some non-stick cooking spray and cooked these strips over medium heat (and made french toast, on the side, of course!) until the edges got crispy. They didn’t really get ‘curly’ or ‘wavy’ like I remember bacon usually gets, but stayed rather flat. They did however get crispy edges, which I liked. 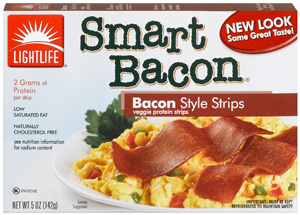 Overall, I give these Smart Bacon strips 4 1/2 stars. I can certainly see myself buying these in the future- they were enjoyable and tasted GOOD! 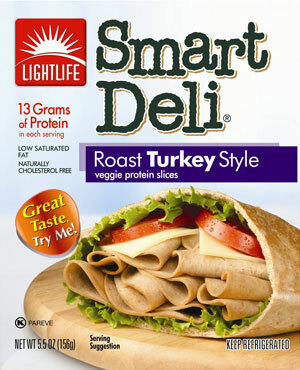 I especially liked that each strip was only 20 calories- I could have FIVE Smart Bacon strips for only 100 calories, with 10 grams of protein! They are, however, a bit salty ( 140 mg per strip) but not too bad. 1 Smart Bacon strip is 20 calories, 1 gram of fat, 0 grams of carbohydrates, 0 grams of sugar, 0 grams of fiber, and 2 grams of protein. Water, soy protein isolate, wheat gluten, soybean oil, texured soy protein concentrate, textured wheat gluten, less than 2% of: natural smoke flavor, natural flavor (from vegetable sources), grill flavor (from sunflower oil), carageenan, evaporated cane juice, paprika oleoresin (for flavor and color), potassium chloride, sesame oil, fermented rice flour, tapioca dextrin, citric acid, salt. This meal was BIG, as i said. 11.75 oz to be exact. There were tons of veggies and a generous portion of brown rice. The veggies were a nice “fork sinking into” size too. No skimpy, mushy veggies in here! The broccoli and the edamame were the best in my opinion. Fresh and crisp, the broccoli soaked up the sauce and was really flavorful. Next, i liked the carrots and the mushrooms. The carrots were crisp as well, and the mushrooms were soft and tender. I didn’t really care for the pineapple or the peppers. The pineapple was okay, i would have preferred it to be sweeter and have more of a bite to it. The peppers were kind of bland too. 🙁 Moving on to the rice, it was excellent. 🙂 ! Cooked just the right way, it tasted like rice should. It was fluffy and soft, not dry or too sticky. Lastly, the sauce. 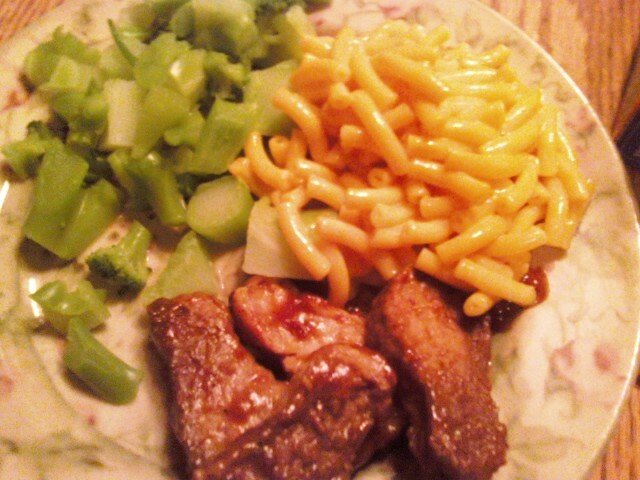 It adds an extra 90 calories to the dish overall, but i think it was worth it. It was a sweetish soy sauce with a slight kick to it. I also tasted some ginger flavor. It was a wee bit salty, but all soy sauce typically is salty tasting.